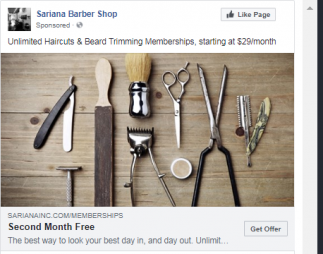 When you offer a unique service that separates you from the competition, you often have to use outbound marketing to introduce the offer. 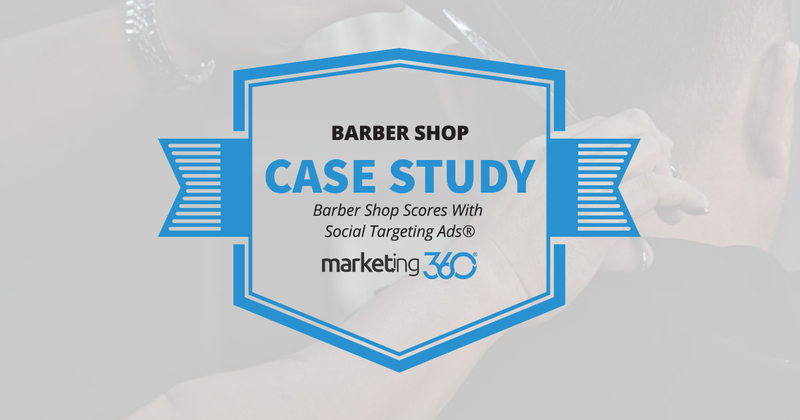 A barbershop that offers memberships uses Social Targeting Ads® to find new clients. A unique value proposition (UVP) is the backbone of a marketing strategy. If you don’t give customers a reason to choose you, then…well…they don’t have a reason to choose you. But if you do develop a strong UVP, you may have awareness issues. An innovative idea must be introduced to the people who’ll benefit from it. This Chicago-based barbershop is case in point. They offer a monthly membership for barbering services that allow men to come in for a trim as often as they want. For the type of guy who likes to keep his look clean, this is a great service. The problem, initially, was that nobody knew about this type of service. 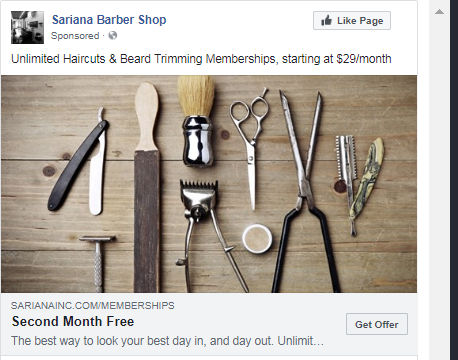 There is zero search traffic for “barber memberships” or “unlimited haircuts”. That makes search marketing less than the ideal tactic to advertise this offer. Social Targeting Ads® uses demographic and lifestyle data on social media platforms to target people that are highly likely to be interested in an offer. This is a precise type of outbound marketing that’s an ideal tactic for a new offer like this. The ads target men who buy certain brands of grooming products, who subscribe to fashion magazines like GQ, and buy fashion brands. They also target men within 10 miles of the shop who make more than 75k per year, have a college degree, and who work in corporate or management jobs in fields like finance, IT, legal, and sales. In other words, they target the type of guy who’s highly likely to be interested in a barbershop membership. The website redirects have not converted well, so the Marketing Executive will turn that ad off in favor of the lead form ad. With new customers signing up and enjoying the membership service, the invaluable marketing of word of mouth and online reviews will start to happen. As more people learn about this service, more interest is generated. This case study shows the value of being able to precisely target new audiences and create awareness of an innovative product or service.